Sonic Jesus is the musical project led by Tiziano Veronese since 2012. Internationally acclaimed since the very beginning, thanks to the instantly sold-out debut on Fuzz Club Records (Sonic Jesus EP, 2012) and a cult split featuring the Black Angels (Split Single N°5, 2014), he took part to the Reverb Conspiracy twice, the Cosmosis Festival (featuring the Jesus & Mary Chain), the Eindhoven Psych Lab and the Reverence Festival.  During the years Sonic Jesus performed live throughout Europe and shared stages with Damo Suzuki, Dead Skeletons, A Place To Bury Strangers and Singapore Sling for whom he opened the European leg of his tour. The long-awaited first double LP Neither Virtue, Nor Anger (Fuzz Club Records, 2015), completely self-recorded and produced, confirms his own skills to renovate and transcend genres and forms, all condensed in an impressive masterwork. Both the sophomore LP Grace (Fuzz Club Records, 2017) and the new 7’’ Dead Man (Fuzz Club Records, 2017) go beyond the past boundaries, pushing towards enthralling melodic horizons and handsomely modern pounding beats.